Botox for neck pain is an innovative treatment choice for patients with mostly muscular issues causing their suffering in the cervical region. Botox has a well known reputation as a cosmetic therapy option, which is used to treat and prevent facial wrinkles in the skin. However, Botox is a product which has enjoyed widespread and ever growing medical applications, since it works to paralyze localized tissues long-term, making it ideal for some types of neck muscle pain and particularly excellent for treating neck muscle spasms. Botox is a very dangerous product and must always be used by qualified and experienced medical doctors only. Attempting to seek Botox treatment from any other type of caregiver may be risky and can even prove fatal in rare cases. This discussion focuses on the use of botulinum toxin for treating muscular neck pain problems. 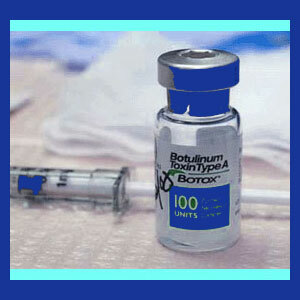 Botox is a brand name of botulinum toxin. This is an organic poison which causes muscular paralysis when injected under the skin. Botox will not migrate when used correctly, but if it enters the bloodstream, it can kill. Botox is administered using multiple tiny hypodermic injections into the affected regional area. Wherever the injection is used, the surrounding area will be unable to move for several weeks to several months. There is no way for a patient to know how long the therapy will last and it is not exactly known why some neck pain sufferers enjoy longer lasting relief than others in most cases. It must be crystal clear that Botox is toxic and hazardous in the extreme. If too much is used, or the injections are placed incorrectly, risks to health can be catastrophic. Complications can include serious health issues or death. This is not a product to play around with. Botox is very effective as a long lasting treatment for neck spasms and some forms of chronic pain. It will not likely provide substantial benefits for neck pain due to most spinal sources, such as herniated discs or spinal osteoarthritic processes. It should be mentioned that many ongoing neck muscle pain syndromes are not structurally motivated. Some are idiopathic, while others are most likely sourced by the mindbody process, using ischemia as the symptom-inducing mechanism. While Botox will certainly help relieve the symptoms of many of these psychoemotional pain syndromes, the treatment is unlikely to cure the condition. Most patients should focus on finding the underlying reasons for this type of pain to exist and this can usually only be accomplished through an appropriate psychological approach, like knowledge therapy. Likewise, if a spinal structural issue is causing the muscular discomfort and spasms, then Botox might relieve the expression of the condition, but will not resolve it. In these cases, an indicated care plan must be created to solve the causative issue permanently, be it conservative care, spinal decompression or neck surgery. Botox has turned out to be a miraculous discovery. 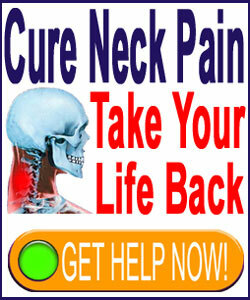 More and more medical uses are being developed every day and so many chronic pain sufferers have already enjoyed marked and lasting neck pain relief from its use. If you are being victimized by a chronic and serious muscular neck pain condition and are interested in learning more about Botox treatment, be sure to talk to your doctor. Never seek treatment from an inexperienced care provider, since you do not want to risk your health or life to improve their learning curve. Always seek expert treatment only. If used appropriately, Botox might just provide that enduring symptomatic relief that will buy you the time to pursue a lasting cure for you underlying causative issues.